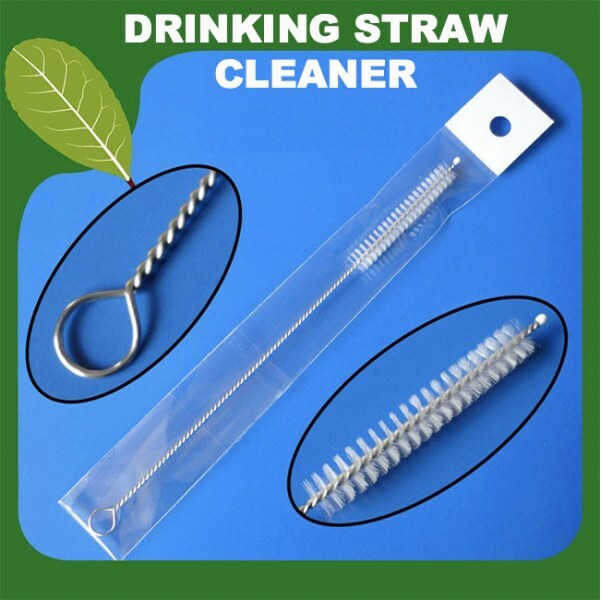 Straw Cleaning Brushes for all small spaces around the house! Heavy duty bristles are long lasting and wash clean every time. Features a metal handle for easy use- won&apos;t rust! Great for cleaning kitchen appliances with small crevices such as juicers and blenders. Even great for auto detailing. -- brush is 6.5" long. bristles are 1/4" wide. Perfect fit for our steel drink straws.